We are pioneer Manufacturers & Supplier of Replacement HOSES of ATLAS COPCO, ELGI, INGERSOLL RAND, KAESER, CHICAGO PNEUMATIC MAKE ROTARY SCREW COMPRESSORS. 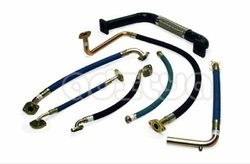 The offered hose is widely used for compressing air in various industrial applications. Temperature Upto 300 deg c.
It is manufactured using premium quality material and advanced techniques by our highly qualified professionals. 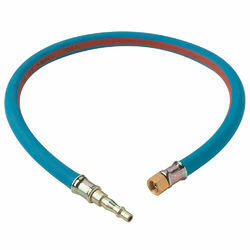 This hose is made available in different specifications of sizes and shapes for our clients to choose from. We are in pioneer of replacement Air Compressor Hoses / Screw compressor Hoses of Atlas copco, Kaeser, Elgi, Ingersoll Rand, Chicago Pneumatic, Sullair etc make Screw compressors.We have achieved success as a result of consistent efforts on our part to outperform ourselves. We have a state of the art infrastructure which enables us to carry out our operations smoothly. We have streamlined our processes which ensures that we carry out our operations in the most cost effective manner. We have been committed towards providing utmost satisfaction to our customers. To cater the variegated demands of our prestigious clients, we are highly engrossed in providing a wide range of replacement Hose for CHICAGO PNEUMATIC Rotary Screw Compressor. 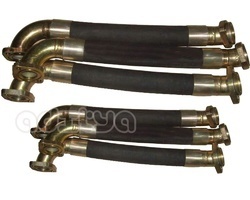 To cater the variegated demands of our prestigious clients, we are highly engrossed in providing a wide range of Hose for Ingersoll Rand Compressor. While climbing on the success ladder, it has become increasingly important for us to deliver precisely tested and high grade assortment of ELGI Compressor Hose. We at aditya enterprise provide replacement hoses for atlas copco, elgi, ingersoll rand, kaeser, chicago pneumatic make rotary screw compressors. 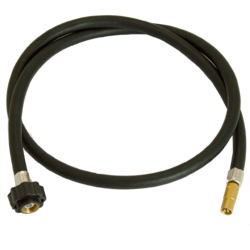 We supply Replacement Hoses For Atlas Copco Make Rotary Screw Compressors.